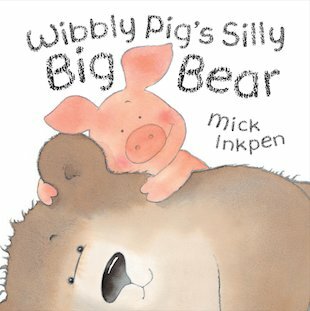 Wibbly Pig’s new friend is a bear so BIG he can hardly fit on the page! He can’t brush his teeth or use a spoon. But Wibbly loves him just the same! An adorable story of friendship and togetherness from the much-loved creator of Kipper. Wibbly Pig has been to a party with Pigley. Use your favourite colours to colour him in. This book looks great with a sweet story from the author of the kipper books. Will definately be getting.